St Tewdrics is a fully licensed wedding venue. 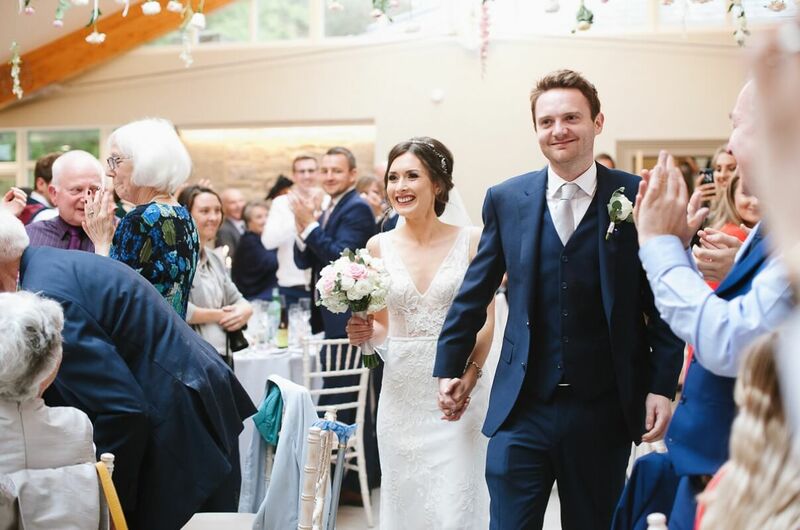 Four of our rooms are licensed for weddings – The Courtyard, hallway and two reception rooms. Weather permitting, ceremonies can also be held outside. Wedding breakfasts are held in The Courtyard, which can accommodate 150 people for formal dining. With its exposed stone walls, half glass ceiling and neutral decor it lends itself to all tastes and styles. From minimal rustic charm to high glitz and glamour, the choice is yours! We wanted to give our couples the freedom and flexibility to create the wedding of their dreams, therefore you’re free to use any caterer and supplier of your choice. There’s no corkage fee for daytime drinks, giving you the option to supply your own, or if you’d prefer we can source them directly from our wine merchants at cost price for no additional fee. 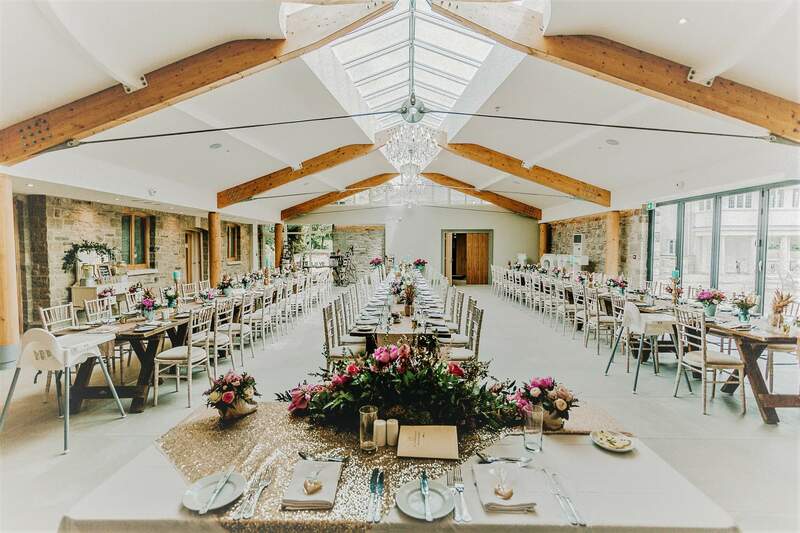 Booking your wedding at St Tewdrics means that you will have staff on hand throughout the whole process to make sure that your wedding goes as smoothly as possible both in the build up and on the day itself. We will take care of all the finer details so you can relax and enjoy.